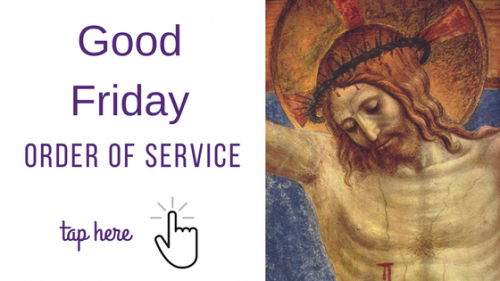 Holy Thursday service will be on 4/18 at 12:00 pm, Good Friday service on 4/19 at 7:00 pm. 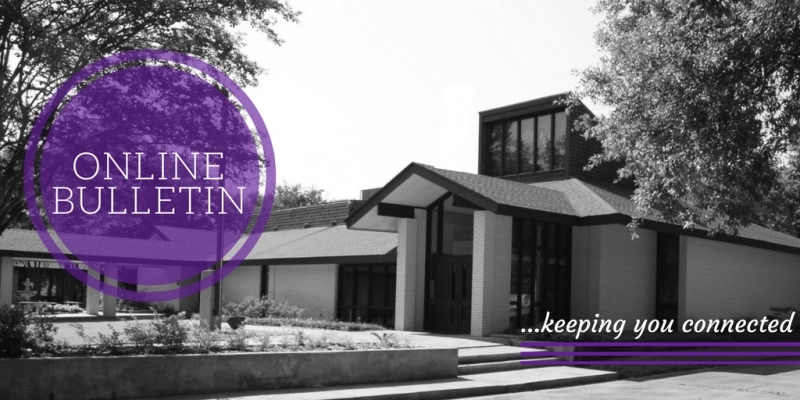 Service on Easter Sunday (4/21) will be at 10:30 am. Join us for Easter Breakfast starting at 9:00 am! 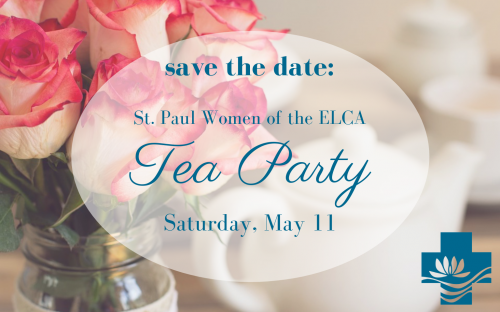 The women of St. Paul Lutheran Church will proudly hold their 30th annual Tea on Saturday, May 11 in the church Fellowship Hall from 11:00 am until 1:30 pm. Please make your reservations in advance by calling Charlotte Keller at 278-9441. The price of each ticket is $20, payable at the door. 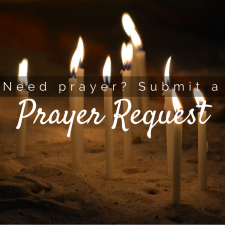 Please contact Rebekah Buco at 773-0905 if you can provide table-settings and designate the number of place settings you can provide. 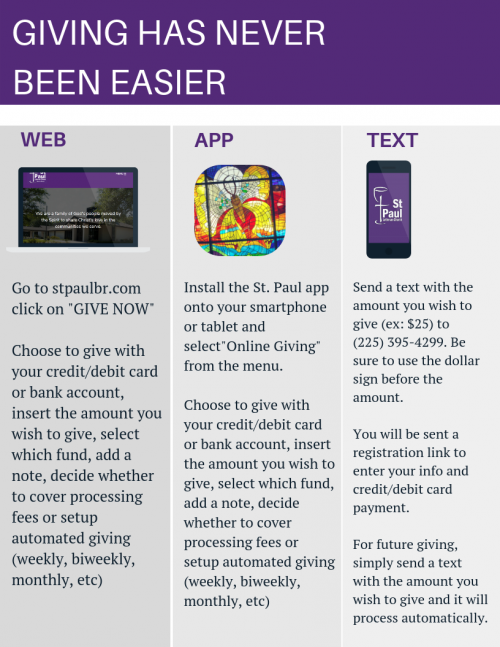 More details will be included in the forthcoming sign-up poster in the church narthex. Set-up begins in the Fellowship Hall and table settings may be dropped off beginning 11 am to 5 pm. 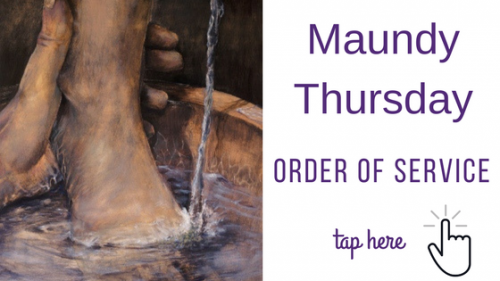 on Thursday, May 9. Table-setting will continue on Friday, May 10 from 9 am to 5 pm (the building will be secured during evenings/off-hours to protect members’ table-settings). Waiters and waitresses are much needed- contact Rebekah Buco at 773-0905 to volunteer. 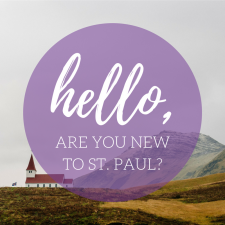 Janis Harvey and Cynthia Prestholdt will accept gift-wrapped door prize donations from St. Paul members and the community. Door prizes may be placed in a designated box in the church library. Carolyn Button will have copies of the cookbook, Tea Time at St. Paul – A 25 Year Tradition, available for purchase at the tea ($20 each). Gratitude is again expressed to Lin Falcon and Lynn Stiteler for their expertise in selecting the menu and baking the delicacies so enjoyed by all participants! 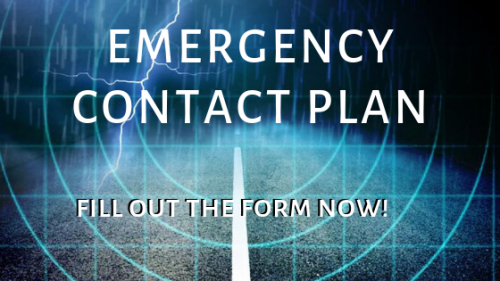 Please complete the every-member 2019 Family Emergency Response Plan form electronically or return a completed printed form ASAP. We'd like to complete this process by reaching all members BEFORE we have major flooding or any other emergency affecting our members.